Jemini Crafts: Do you love pretty scrapbooking paper ? Do you love pretty scrapbooking paper ? Love to buy papers to keep? Don't know which papers to buy, so buy none at all? Have stacks of papers you don't want to cut into? Are never quite sure what colours will co-ordinate with the papers you have? Hate trying to store 12x12" paper as it gets damaged and takes up too much room? If one of these sound like you, then I may be able to help you! I run a paper share/sampler pack for each new catalogue that comes out from Stampin' Up! In the pack you will receive a 6x6" sheet of every paper that features in the catalogue. Basically, you can enjoy a quarter of each pack in a useable, manageable size that will encourage you to use it. Each sheet I provide is 6"x6" in size which will make a card front, or can be cut up or used as part of a scrapbook page or layout. Many of the papers are double sided. 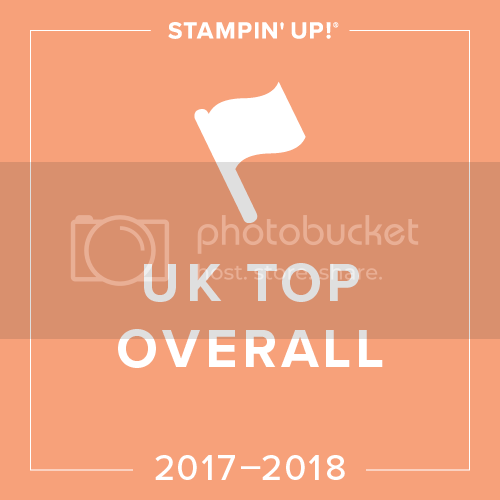 If you struggle with colours and colour matching, I also list the matching Stampin' Up! colours for that particular paper pack, plus the item number and price, should you wish to order a complete set in the future. 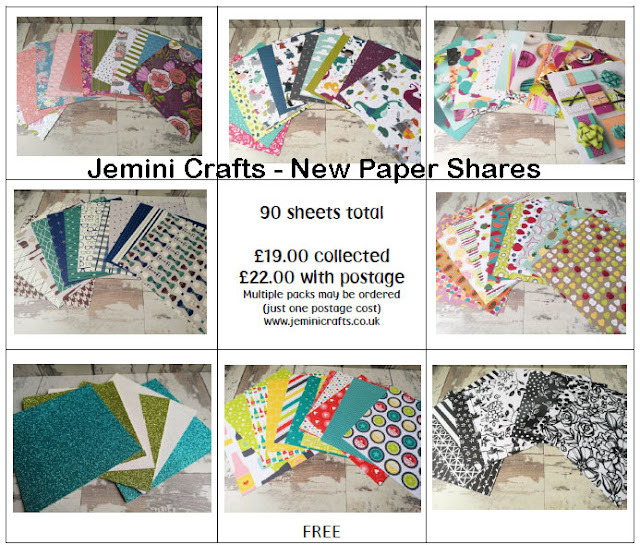 I am pleased to announce that I have the brand new Spring/Summer 2018 Jemini Crafts Paper share now available to order. 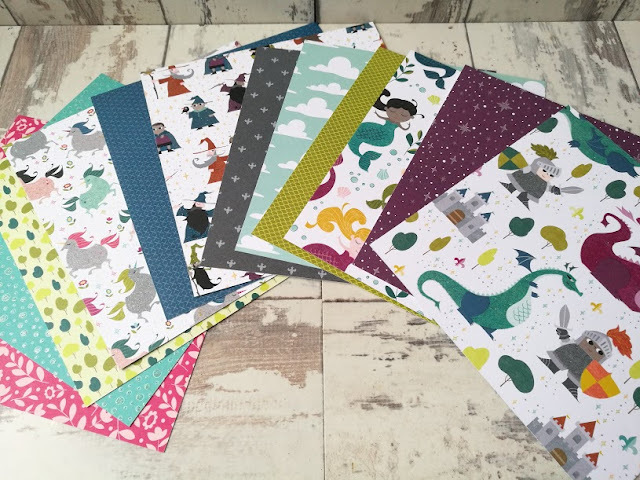 There are 8 new paper packs in the Spring/Summer catalogue and an additional paper pack (Bubbles and Fizz) which features in the Sale-a-Bration catalogue. Bubbles and Fizz papers are included for FREE in your sampler pack. 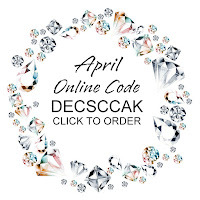 All you need to do is email me to receive your order form with all the details. 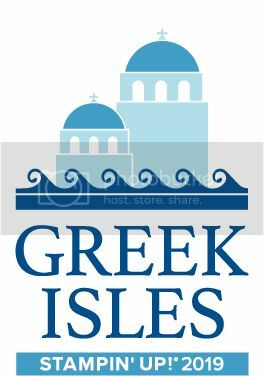 Payment can be made by bank transfer/credit or debit card or cash. You only pay 1 postage cost, regardless of how many packs you order! Why not group together and order a few? You can always swap sheets with friends. I can't wait to see what you make with your papers. Let me know your favourite too!